Dominic is Senior Consultant with Optimé, and provides classroom facilitation, 1:1 and group coaching as well as consulting to Optimé clients. Dominic has coached executives and managers in a variety of organizations as they take on challenges including new roles, goals, dealing with significant change/transition and new projects. He helps leaders engage the full potential of their people to achieve unprecedented performance. 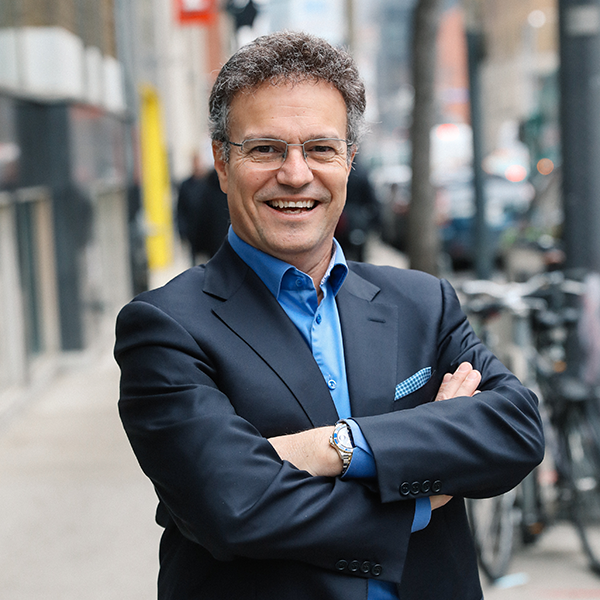 Dominic’s professional focus is on executive coaching, developing coaching skills for managers and creating coaching cultures within organizations. With over 20 years of business experience as an HR executive, sales manager, entrepreneur, and consultant; Dominic has worked with leading edge global organizations across a variety of industries including consumer packaged goods, pharmaceutical, software, telecommunications, financial services, retail and not for profit. Dominic is a graduate of the University of Toronto where he completed his Bachelor of Commerce with a major in Economics. He has also completed graduate level certification programs at the Rotman School of Management (U of T) and at Royal Roads University. He is a Certified Human Resources Professional, a Certified Executive Coach and holds the Associate Certified Coach (ACC) credential through the International Coach Federation.In addition to his professional pursuits, Dominic is a past officer and director of The Hunger Project in Canada; a non-profit organization committed to ending hunger globally. He recently leveraged his love of running to raise thousands of dollars for The Hunger Project while completing his first marathon.